The anemone is the unusual black-centered gem among winter flora. Grown indoors in greenhouses from October through April, it is highly coveted by floral designers for its jewel-toned hues and lengthy vase life. 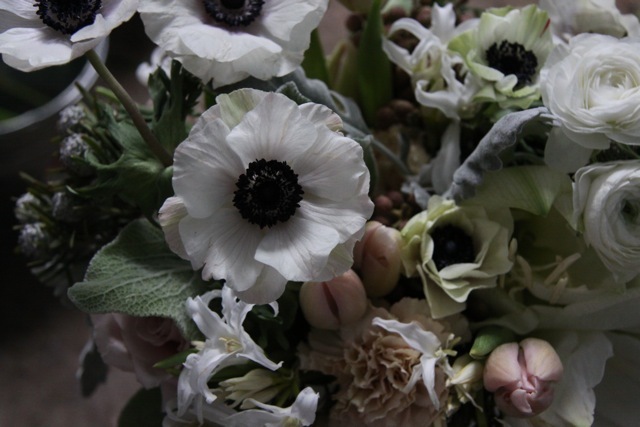 Learn how to combine a variety of anemones with myriad other winter blooms (amaryllis, juniper, ranunculus, citrus, and more) to create rich, opulent arrangements while understanding basic floral techniques and the art of building a layered, garden-inspired centerpiece. Clippers will be provided and yours to keep. **Register for this class directly through the New York Botanic Garden.